There's no question Sean Chambers is a gifted, capable player. 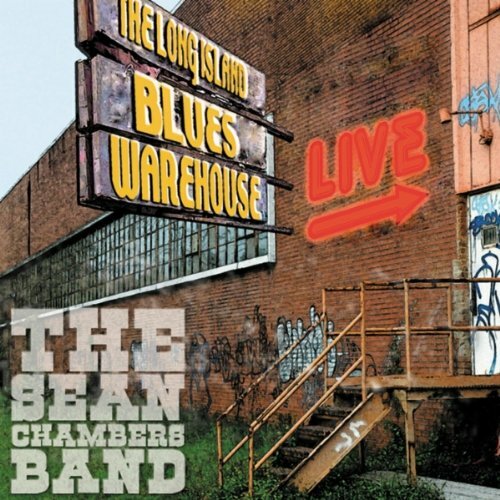 He's been a popular draw since going solo after spending 1998-2003 touring with Hubert Sumlin as guitarist and band leader and his many fans are sure to be excited about his first ever live album Live From The Long Island Blues Warehouse. It's easy to hear why he was listed among the Top 50 Blues Guitarists in Guitar Magazine from the opening notes of the tasty instrumental first track, "Dixie 45." What becomes more difficult as the set wears on is distinguishing him from some of his influences and a host of other equally gifted players in a crowded field. I'm trying not to be unduly harsh to a talented guy but throughout the album, the sound, licks, vocals, and songs straddle the line of "influenced by" and "derivative of." Even the opportunity to open things up and jam can't quite save him. Being the 200,000th blues artist to cover Elmore James' "Dust My Broom" is not the way to establish your own sound. It may be a fun song to play but you're not going to do anything with it that hasn't already been done so don't put it on your live album. "In The Wintertime" has Stevie Ray Vaughan written all over it and "Love Can Find A Way" is built on a riff reminiscent of Joe Walsh and James Gang's "Funk #49." There are good moments on this record. "Dixie" is a good tune and gets things off to a strong start and his cover of "Full Moon On Main Street" is interesting. He's still a talented player even when he sounds too much like too many others in the crowd. Chambers fans will enjoy this but the lacking spark of originality make this 45 minutes of pleasant blues-rock and nothing more.